Does GIMP have good or bad usability? A year ago, I asked readers to suggest programs that have good usability (I also solicited feedback through colleagues via their blogs and their readers). 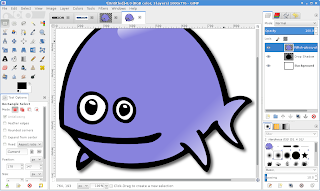 Many people talked about GIMP, the open source graphics program (very similar to Photoshop). There were some strong statements on either side: About half said it had good usability, and about half said it had bad usability. However, I decided to skip GIMP in my usability study, as it is intended for people who do specific graphics work, and my usability test targeted the general user. But I didn't discuss the split opinions in the usability of GIMP. Users who thought GIMP had good usability used Photoshop occasionally, such as hobbyist photographers or casual web designers. Those who only occasionally use Photoshop understand the concepts and terminology used in Photoshop and so are easily able to transfer their knowledge from Photoshop to GIMP. But those who never used Photoshop were completely lost in the terminology and concepts. 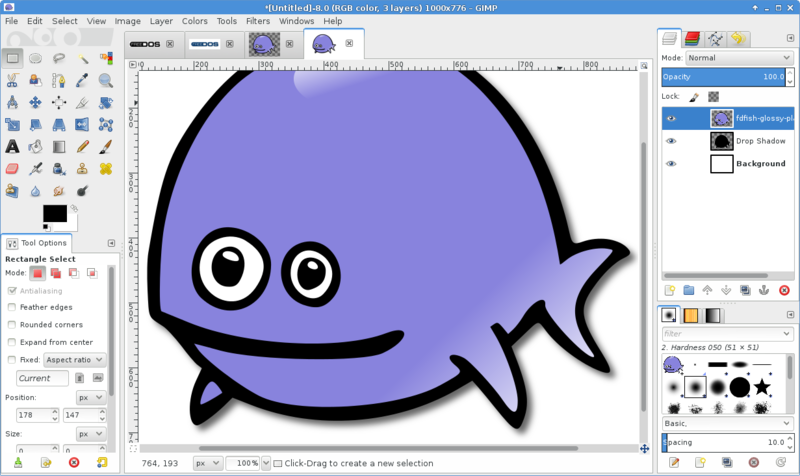 GIMP relies on layers for image construction (so does Photoshop). "Layers" are a difficult concept for someone who has never worked with them before. And those who use Photoshop all the time were confused that functionality and features differed slightly from Photoshop, or was accessed differently, or used different terminology; these users were stymied by what they perceived as a dramatic change from Photoshop to GIMP. So GIMP is an interesting case. It's an example of mimicking another program perhaps too well, but (necessarily) not perfectly. GIMP has good usability if you have used Photoshop occasionally, but not if you are an expert in Photoshop, and not if you are a complete Photoshop novice. CITE World magazine (CITE = "Consumerization of IT in the Enterprise") posted an interesting article today entitled Stop listening to your users. It's a good reminder for how to create designs that respond to users' needs, how users actually need to interact with a system. Rather than ask for desired features and designing for that, information designers should observe their users' work flows and work habits instead. "Instead of asking your users, watch them as they do their jobs and you are going to learn so much more. See what they do in the course of their day and what it takes to do their job. What are they doing now manually or with clunky business software that you could simplify and make easier?" I recognize this as the basis for good information design, and a starting point for usability study. The article shares advice for designers to "Listen, observe, iterate." Sarmad Salim, director of application design and mobility at drug company Sanofi, suggests starting with a use case interview: "We don't ask them what they want, we ask them what they do." Brian Katz, also works in mobility at Sanofi, adds that designers should go on "ride-alongs" where you follow the user around for the day and see how they use the app you so carefully designed. From there, simplify the process by finding innovative solutions, not just by "ticking a box" on a requirements document. Find ways to solve the process need, the workflow, that best suits your audience. And repeat. For example: Scott Blanford, CTO for retirement and individual technology at TIAA-CREF, created a "wikipedia-like" system for information retrieval, because it made the most sense for how people worked with information. "It's so simple when you think about it and makes so much sense, but nobody had ever done it before because they accepted the old way as the standard way of doing business, warts and all." "You shouldn't really stop listening to your users, but the point is you aren't always going to hear from them exactly what they need. In some cases they may know, but in many they may not, or at least they won't be able to articulate it in a way that enables you to build a solution that really improves their working lives. The best way to do that is go down on the floor or for a ride or wherever the employees who will be using the software work, and watch them and learn and put your expertise to work on the problem. And most of all. remember that the app is never really done. You need to keep iterating, refining, and improving because needs change -- whether your customer is internal or external -- and what you did last week might not apply forever."